Sky is to broadcast Queens Park Rangers’ #Game4Grenfell, a charity football match in aid of the West London community affected by the Grenfell Tower fire. #Game4Grenfell will be shown on Sky 1 and on Freeview channel Pick on Saturday 2nd September 2017, enabling viewers on all major TV platforms to watch the action. The afternoon of special programming will see former football professionals, celebrities and special guests play a 90-minute match at QPR’s 18,000-capacity Loftus Road stadium in Shepherd’s Bush, the closest league ground to Grenfell Tower. The event will kick-off with a special pre-match show featuring players and pundits, alongside those affected by the events in West London. 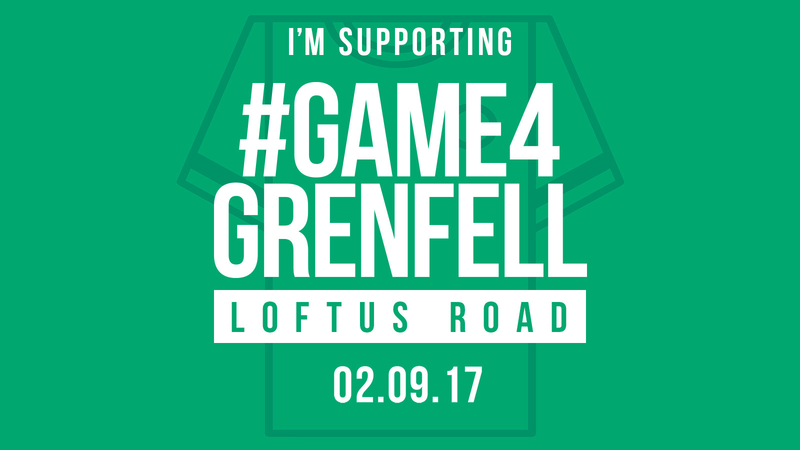 #Game4Grenfell is the brainchild of QPR Co-Chairman Tony Fernandes who has worked alongside QPR Director of Football and former football player Les Ferdinand to put the event together. The former England striker grew up on an estate close to Grenfell Tower and the pair are joined by Columbia Records’ Ferdy Unger-Hamilton.